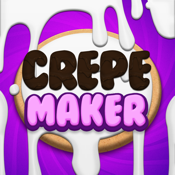 From the makers of the hit app, Cake Pop Maker, comes a brand new app, Crepe Maker! First, add ingredients and mix the crepe batter. 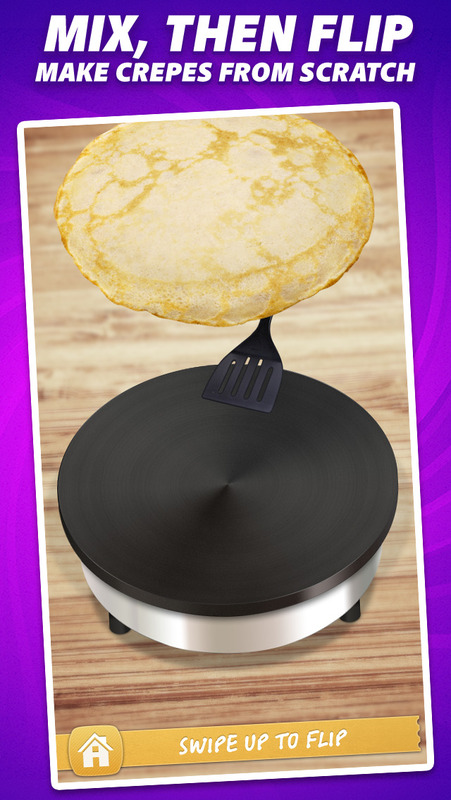 Then, cook the crepe and fill the insides with sauces and fillings. 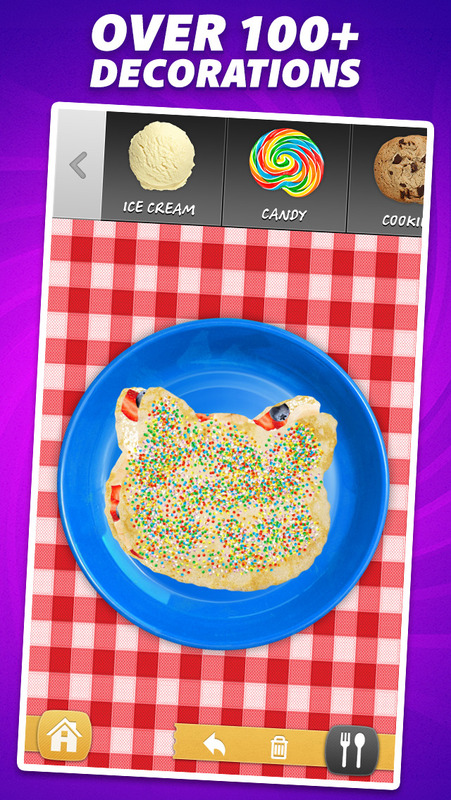 Fold the crepe into tons of shapes, and then top the crepe off with whatever decorations you desire! 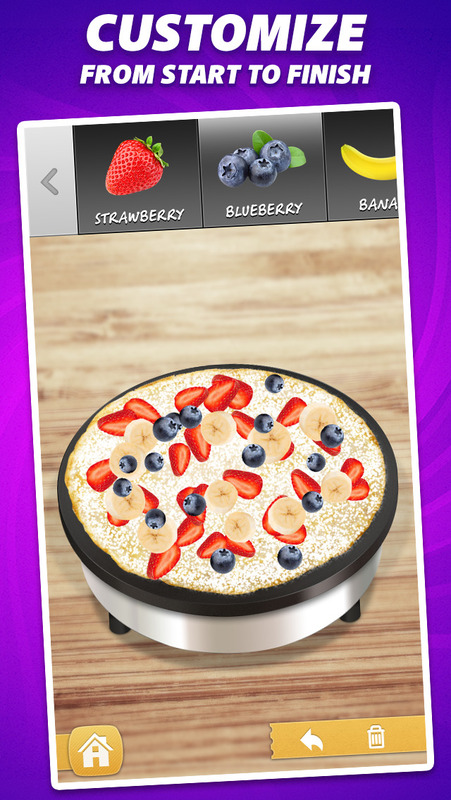 Finally, eat the crepe virtually, or show it to your friends through Facebook or email! 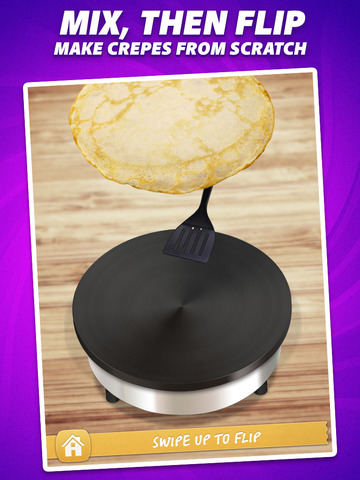 -Over 200 unique decorations to top crepe, including a live burning candle! 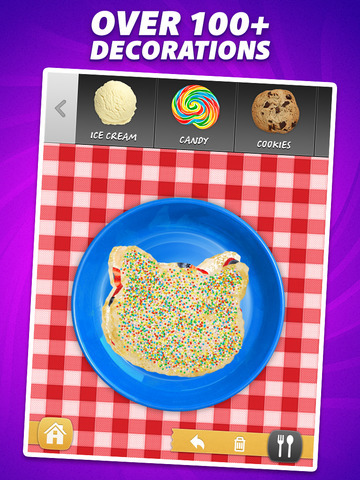 The app comes with a sampling of free options, and many more options are available for purchase.